This is a unique accommodation proposal. 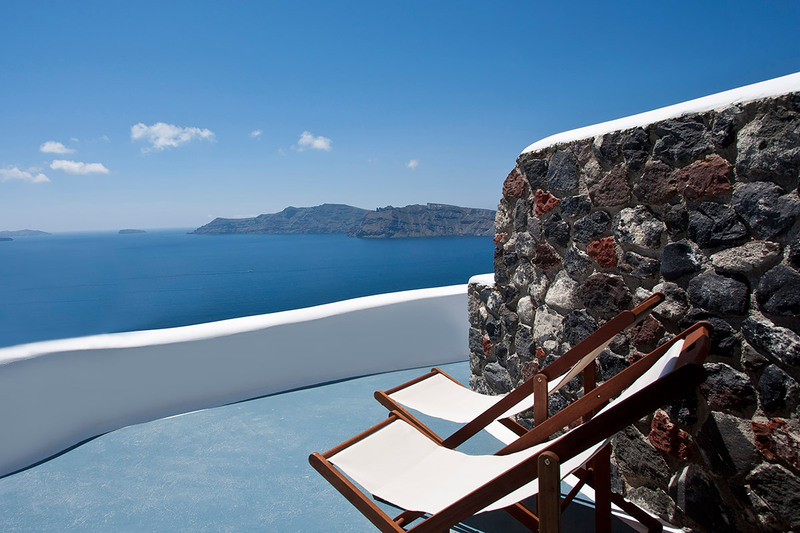 Nested within the historical heart of Oia's village, the cave studio is built within the volcanic rock according to the traditional island's architecture which is adapted to Santorini's unique morphological, climate and historical particularities. 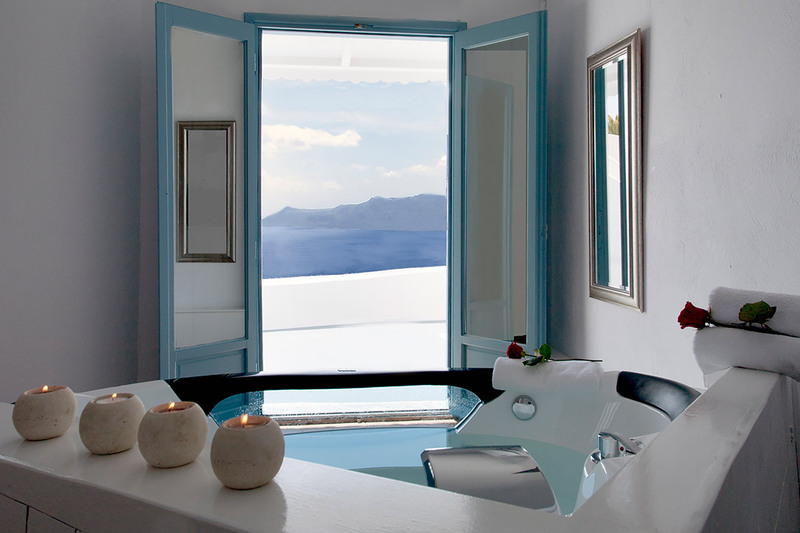 The room is ideal for honeymooners and for those who imagine some very special moments in Santorini. 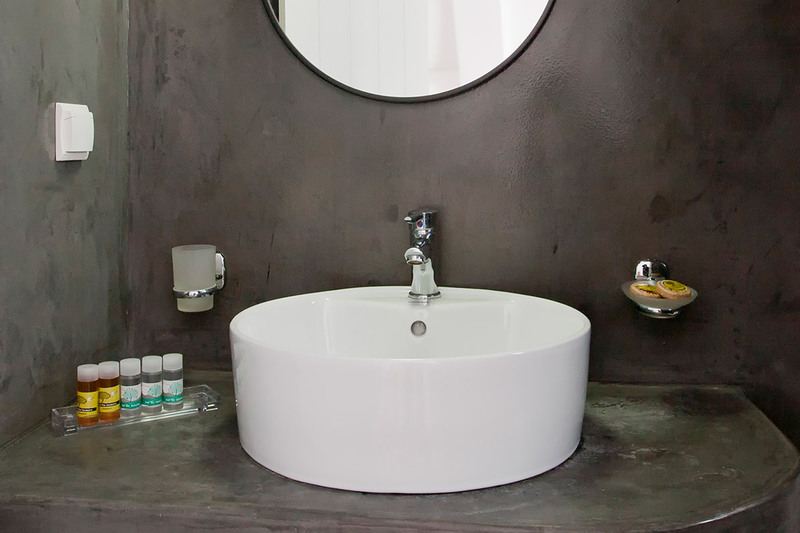 It features an amazing indoor private Jacuzzi, a bedroom with one queen size bed, a sofa bed and a bathroom with shower. 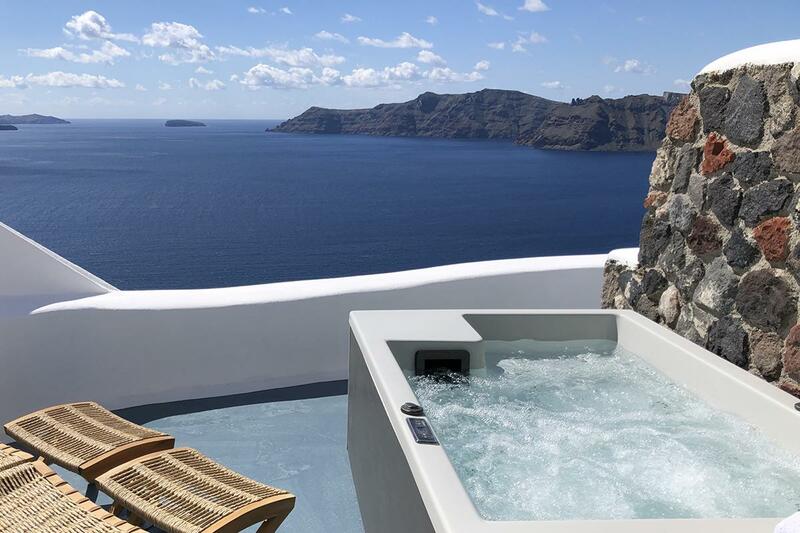 It also features a comfortable private veranda with superb views of the Caldera gulf, volcano, Oia village and Thirasia island. 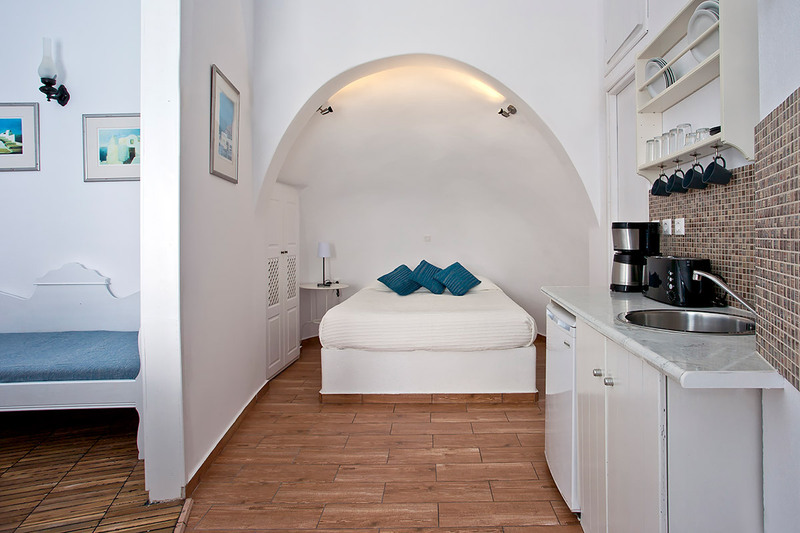 The cave studio is detached from Aspa Villas's main premises (30 meters away).